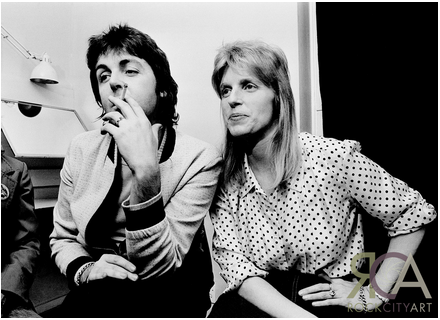 Paul and Linda McCartney. Smoking's Cool Exhibition www.rockcityart.com. Wallpaper and background images in the Paul McCartney club tagged: paul mccartney paul england liverpool mccartney music awards. This Paul McCartney photo might contain знак, плакат, текст, классной доски, and доске. Paulie !!! Любовь u !